AMC miniseries will channel the redemptive power of the late journalist's memoir. Five years after the documentary Page One touched on David Carr’s personal triumphs, Hollywood is preparing a full look at the late New York Times columnist’s life. 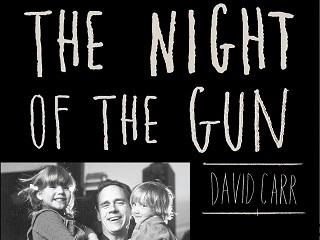 The project, announced today, will be a six-part AMC miniseries based on Carr’s memoir The Night of the Gun, to be produced in partnership with Sony Pictures Television. Odenkirk will co-executive produce the series together with Shawn Ryan, whose previous credits include The Shield, and Odenkirk-Provissiero partner Marc Provissiero. Attached as writers are Ryan and Eileen Myers.